The trope isn’t new and this particular iteration is not even that bad. The movie is a fine Steven Spielberg epic, though not coming anywhere near Saving Private Ryan for its depth or E.T. : The Extra-Terrestrial for its reach. Each smaller story plays as a vignette that serves its higher purpose, which is clear, but we don’t ever get the chance to explore whether this idea is particularly interesting or if we are just supposed to like it because we are supposed to enjoy and respect war, and horses. Why wouldn’t we respect a movie about both? Because at the core of the human experience is a deep aversion to feeling the fool. 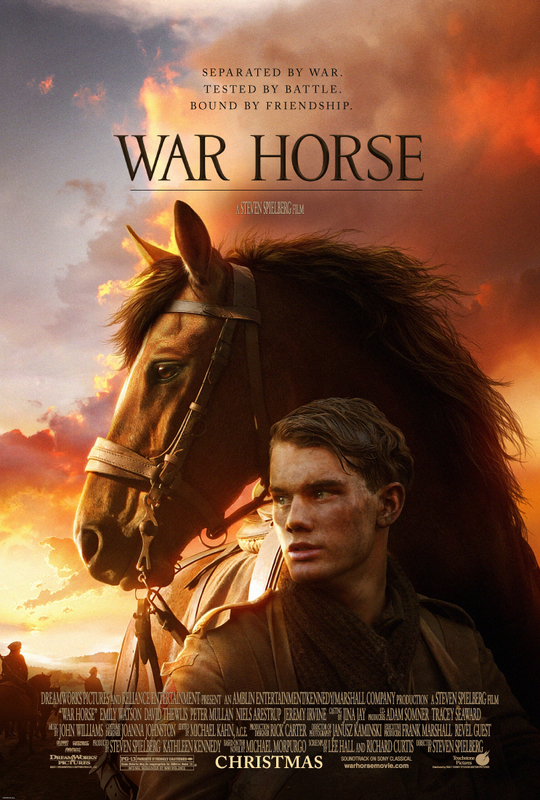 Movies like War Horse are more manipulation than movie — they’re neither tongue-in-cheek nor overtly serious, like Saving Private Ryan or even, perhaps especially, Schindler’s List. When an audience member must decide to like something outright based on an invented consensus, the floor falls out faster than a horse hoof hawking hogwash. Other movies, somehow and somewhat offensively geared toward “confused women,” like The Divine Secrets of the Ya-Ya Sisterhood or The Sisterhood of the Traveling Pants treat the idea of the magical, fixable object with little to no deference. We aren’t supposed to care about these movies and they aren’t made to win Oscars, they’re made to make people feel a sense of completion. In that way, these movies are rounded-out narratives, even if the story feels flat. The simple hero’s journey in about 100 minutes is not a bad way to spend two hours. But with prestige, even faux-prestige, comes with expectations that have to be managed. War Horse cost someone over $66 million to make; even though it took in a two-point-five times return on this investment, this movie begged for Oscar nominations to reinforce the weight of its convictions, even if, again, without Spielberg and a Christmas release, the schlock doesn’t really weigh anything. War Horse certainly looks beautiful if nothing else, so if not for story or elocution of nonsense beliefs, then this movie earns stars and stripes for transforming beige, taupe, and brown into a lush palate for visual pleasure. If nothing else, Spielberg knows how to frame war, and huge credit is due to cinematographer Janusz Kamiński for capturing the vision, who also helped Spielberg frame Schindler’s List 18 years earlier. If nothing else, Kamiński is Spielberg’s war horse for pulling together a series of Steven Spielberg minor- and masterpieces, tying the famed directors five decade career along with a series of well-crafted, if not sometimes eye-rolling vignettes. The Artist‘s win in 2011 came as a surprise to almost zero people, even though it too, was a blatant, and bland callback to a romantic Hollywood whose nuts and bolts had not yet been overleveraged. If we want to talk zeitgeist, then 2011 certainly captured the year of nostalgia, a Proustian rememberance of things past, that may or may not have actually existed. See: Midnight in Paris, which was a better approximation of how we want to be nostalgic than either The Artist or War Horse (or Extremely Loud and Incredibly Close or Moneyball). The Academy has long mostly ignored film for kids (read: animation) so Hugo, which had the unfortunate detail of also being Francophilic, a redundancy that the Academy does not like to reward. The Academy did not get this one correct, but War Horse was not the next-best choice, either.